Recycling Works: Are Post-It Notes Recyclable? ability to recycle one of their most widely-known products, the Post-It Note. 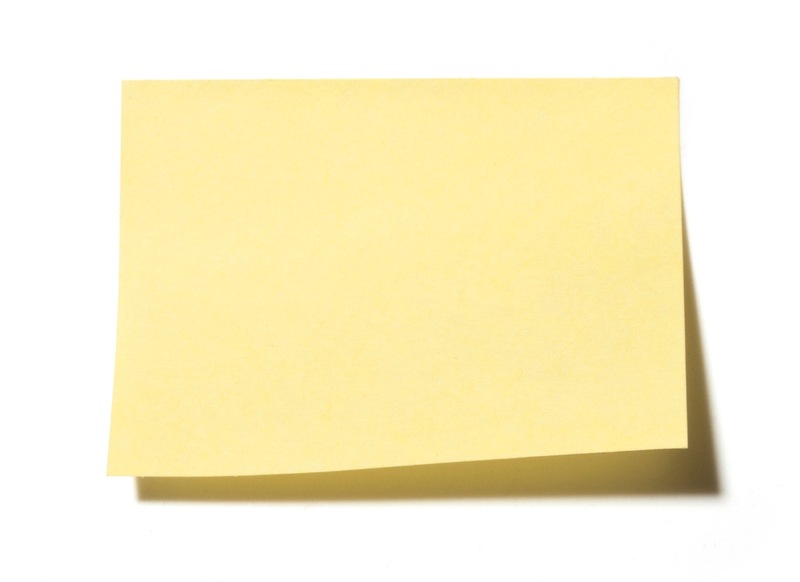 The Post-It Note, commonly referred to with the genericized term, "sticky note", was invented by accident. Post-It Notes are "small pieces of paper with a re-adherable strip of glue on its back, made for temporarily attaching notes to documents and other surfaces. A unique low-tack pressure-sensitive adhesive allows the notes to be easily attached, removed, and even re-posted elsewhere without leaving residue. Originally small yellow squares, Post-it notes and related products are now available in a wide range of colors, shapes, and sizes." "In 1968, a scientist at 3M in the United States, Dr. Spencer Silver, was attempting to develop a super-strong adhesive. Instead he accidentally created a "low-tack", reusable, pressure-sensitive adhesive. For five years, Silver promoted his "solution without a problem" within 3M both informally and through seminars but failed to gain acceptance. In 1974 a colleague who had attended one of his seminars, Art Fry, came up with the idea of using the adhesive to anchor his bookmark in his hymnbook. Fry then utilized 3M's officially sanctioned "permitted bootlegging" policy to develop the idea. The original notes' yellow color was chosen by accident, as the lab next-door to the Post-it team had only yellow scrap paper to use." 3M found that during the deinking process, the adhesive was removed, making it a viable option for a recyclable paper product. Check with your local recycling center to be sure that their processes can accommodate the types of adhesives inherent in Post-It Notes.